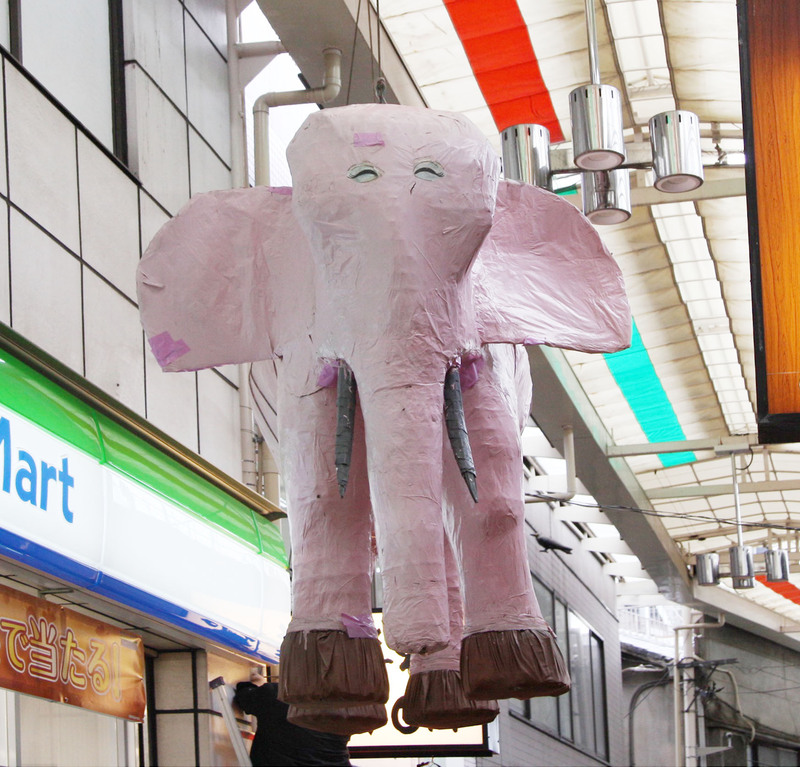 A pink elephant has hung in the Nakadori Shopping Arcade in Nishiogikubo for 30 years. 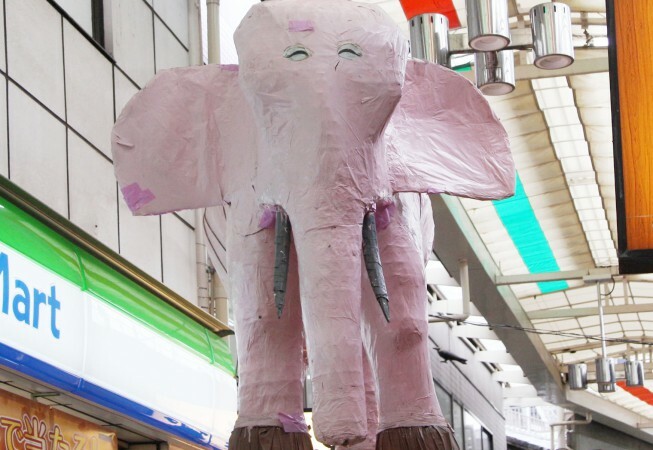 In March of last year the elephant retired and was rested in Nishiogi for 6 months until being taken to Sado Island in Niigata. Here an exhibition and live music event commemorate the release of a publication documenting this journey.